Posted on 17, January 2019 by EuropaWire PR Editors | This entry was posted in Art & Culture, Entertainment, Germany, Society and tagged Amberley Jo Aumua, Amie Batalibasi, art, Becs Arahanga, Bentley Dean, Berlinale, Ciara Lacy, cinema, Dianna Fuemana, documentary, Erica Glynn, fiction, fiction films, films, Freda Glynn, Hepi Mita, Indigenous Cinema, Jeremiah Tauamiti, Justine Simei-Barton, Kamila Andini, Kanakan-Balintagos, Kidlat Tahimik, Marina Alofagia McCartney, Martin Butler, Matasila Freshwater, Mīria George, NATIVe, Nicole Whippy, Pacific, Tusi Tamasese, Ty Sanga, Vea Mafile’o, ‘Ofa-Ki-Levuka Guttenbeil-Likiliki. Bookmark the permalink. BERLIN, 17-Jan-2019 — /EuropaWire/ — In 2019, NATIVe – A Journey into Indigenous Cinema is screening 16 short and feature-length fiction and documentary films from the Pacific region. Characteristic of the programme is the presence of women on both sides of the camera: the special series’ opening film Vai alone features the collaborative efforts of a group of eight female filmmakers. “Vai is thinking of us all – of her own daughter, of yours too, and of those to come,” says a supporting character in Vai regarding the film’s eponymous protagonist. 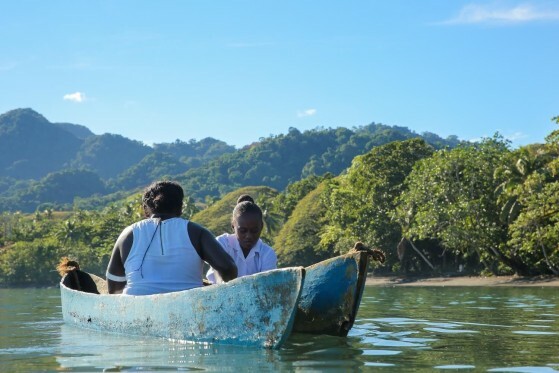 In eight episodes set on seven different islands, the directorial collective composed of eight Indigenous female filmmakers depicts various stages of Vai’s life. Intimately followed by the camera, the character Vai makes the smooth transition between temporal, geographical and socio-cultural contexts. Individual experience becomes universal, the everyday unfolds in a single location and yet everywhere at once. An imaginative filmic reinterpretation of Indigenous legends in Palawan. “Busong” refers to fate, which no individual can control. The church of Tonga demands donations, especially from those who have left the country. This personal documentary follows the family of Saia Mafile’o who, decades after moving to New Zealand, still dedicates his life and money entirely to his homeland. Merata Mita’s life bears testimony to how the personal is political. Blending archive, interviews and her children’s and colleagues’ memories, this intimate documentary traces the life, work and legacy of this radical first female Maori filmmaker. The spirit Seipua is haunting Maea, who lives alone after his aggressive past has estranged him from his family. When his daughter returns, Maea seeks to mend broken relationships. A story about tackling violence, set in Wellington’s rainy grey suburbs. Doing time in prison might give you access to your traditions and roots, but how can you take that home after your release? This documentary describes two working-class Kanaka Maoli men who make the emotional journey back home to their families in Hawaii. Erica Glynn explores the life and work of her mother Freda, a pioneer of the Indigenous media landscape in Australia. Family and art, history and stories all merge in this intimate portrait of a strong-willed woman. Given the conflict between the Yakel and Imedin, Wawa and Dain’s relationship seems impossible from the start. Featuring a cast of amateurs, this award-winning film explores the laws of nature and society that govern life on the island of Tanna. Solomon Islander siblings Kiko and Rosa struggle to survive whilst labouring on a Queensland sugar plantation. This period drama addresses the history of Australia’s ‘sugar slaves’ and the forced displacement of Pacific Islanders from their homelands. Solo, a Samoan court interpreter, works for the New Zealand colonial government. When a Samoan woman on trial refuses to accept the court’s judgement and challenges New Zealand’s jurisdiction and claim to legitimate rule, Solo remembers his true allegiance. Flora senses that her mother is a survivor of sexual abuse. The spectre of the past continues to loom over their lives, putting a strain on their relationship. But when Flora decides to get married, Maria is obliged to open up to her daughter. The heavenly peace and relaxed island life on Aitutaki (Cook Islands) comes to an abrupt end when French nuclear tests shake the South Pacific. Nihipali and Naʻiwi are the only Mū spirits left in their Hawaiian forest. When Nihipali encounters a human child, the veil between the spirit and human worlds is lifted. Toa, a young Samoan woman, displays cuts on her body and begins to bleed prior to having a near-death experience on Easter Sunday. For many Christians in Samoa, her experience has been perceived as an expression of God’s dismay. Taro planter Lui labours every day to buy decorative lights for his wife’s grave and so commemorate her life and her sense of beauty. When he meets Malia, who recently lost her husband, Lui reaches out to her so they can share their sense of loss. Merata: How Mum Decolonised the Screen and She Who Must Be Loved portray two exceptional Indigenous women with a common goal: to indigenise the media. Merata Mita was an iconic female Maori filmmaker and a radical political activist. Her son, Hepi Mita, researches the life and work of his late mother for answers to unresolved questions. And in Erica Glynn’s She Who Must Be Loved, Freda Glynn makes her feelings clear to her daughter right from the start: “I just normally do my thing. You can’t follow me around all day.” It is immediately unmistakable that Freda is not only the woman who in the early 1980s founded CAAMA, Australia’s influential Aboriginal media organisation, but that she is also a wonderfully headstrong matriarch. “The range of stories and the different visual languages that the Berlinale presents every year, especially within the NATIVe programme, are indispensable for the global film community. We want to see Indigenous filmmakers’ own stories, films made by them and not about them,” comments Festival Director Dieter Kosslick. For instance, in For My Father’s Kingdom (directed by Vea Mafile’o and Jeremiah Tauamiti): Family head Saia left Tonga as a hero long ago. After decades spent in the New Zealand diaspora, he continues to donate all of his money to the church back home, putting himself and his family into debt in the process. Out of State also takes up the question of what we call home. In her documentary film, director Ciara Lacy follows Hawaiian criminal offenders who first develop a closer relationship to their culture while locked up in an Arizona prison. NATIVe Advisor Kanakan-Balintagos, otherwise known as Auraeus Solito, traces his Indigenous roots in Busong (Palawan Fate), utilising an intense aesthetic. In the film’s non-chronological narrative, he blurs the boundaries between legend and reality, jumping adeptly between past, present and future. With several additional talk formats and special events, NATIVe 2019 will also be continuing its successful collaboration with the Embassy of Canada to Germany and the Climate Initiative Regional Climate Change (REKLIM) at the Alfred Wegener Institute, Helmholtz Centre for Polar and Marine Research. The NATIVe booth at the European Film Market (EFM) remains an important market presence for Indigenous cinema and Indigenous filmmakers from around the world.